do all vein treatments require an incision? 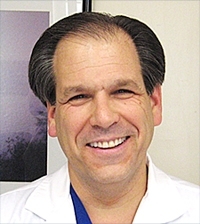 » Watch Next Video by Michael D. Landau, MD - What is thermal ablation? Do all vein treatments require an incision? Answer: The answer is no. Majority of patients I see we treat with injection called sclerotherapy. We use a needle and sygrine. For patients with large veins, we will use thermal ablation. We have to use a small incision (a quarter of an inch or smaller) to pass the fiber into the vein. But after a few months, you cannot see the mark.